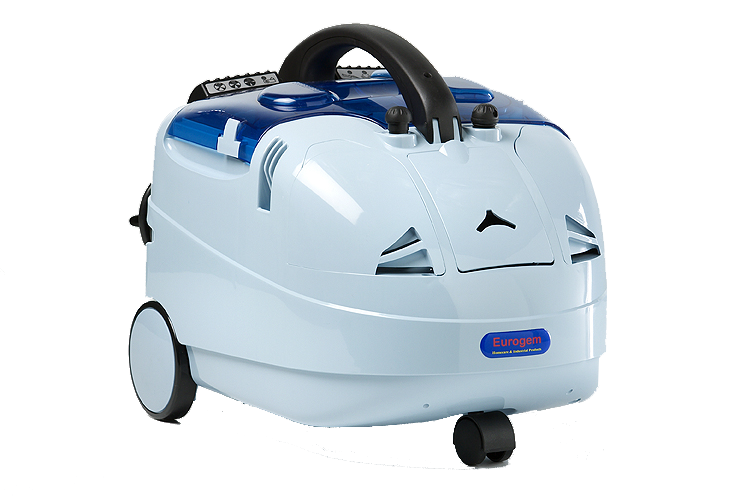 The Liberty Home Care is Eurogem’s recommended steam and vacuum unit for everyday domestic cleaning. The Liberty Home Care is Eurogem’s recommended steam and vacuum unit for everyday domestic cleaning. It is particularly good where hard surfaces such as tiles, parquetry, cork or polished floors dominate. It is light weight, compact and is supplied with a trolley for maneuverability. The Home Care dual cleaning system kills dust mites, fleas, bacteria and mildew sanitizing as you clean. 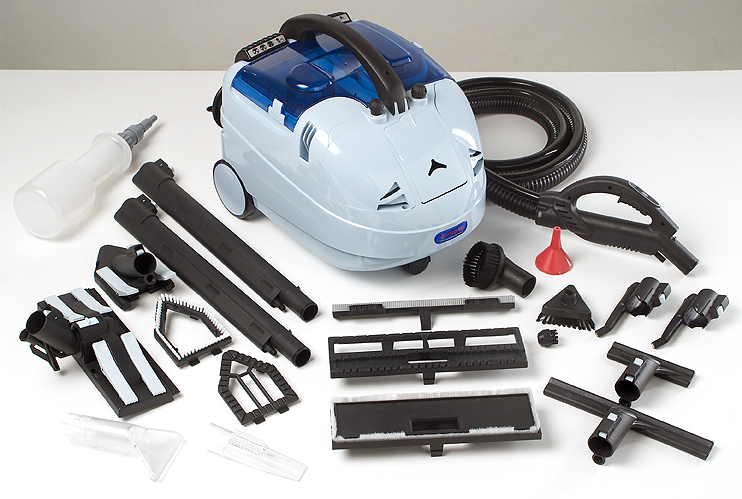 The Home Care comes with the same tools and delivers continuous steam at 102ºC and 4. 5 bars of pressure just like Eurogems’ Professional model. It is tailored for domestic use with a slightly smaller boiler capacity which makes this model more lightweight whilst still producing steam volumes sufficient for your domestic cleaning and sanitizing needs. No detergents and no chemicals are required when cleaning with steam which means you can sanitize and clean your home or work environment in an environmentally friendly way. The Home Care helps kill bacteria, mold, mildew, fungus, dust mites, ticks, and fleas that may lurk in your home. It will even eliminate viruses such as E-Coli.